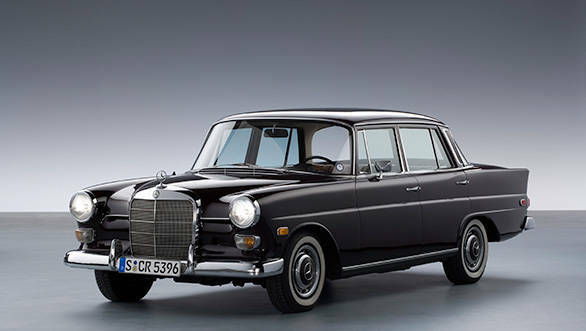 The intermediate Mercedes offering has been around for 55 years but it hasn't always been called the 'E-Class'. We take you through every generation of the mid level luxury offering from the brand with the three-point star. The first E-Class can be traced back to when the 170 V (codenamed the W136 to differentiate it from the pre-war model) went back into production at the end of the WWII. The first units to roll off the line in 1946 were commercial vehicles like delivery vans, ambulances and police cars  the actual luxury car only rolled out in 1947. Over the next few years, Mercedes offered the car as a four door saloon, a two-seat cabriolet and a four-seat cabriolet. 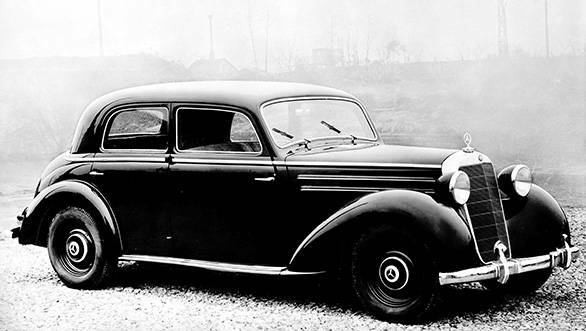 The W136 was the first post-war car offered with a diesel that offered similar performance to its petrol-powered sibling with much better fuel economy. This was perhaps the first of Mercedes' intermediate cars that could fit under the, 'E' banner and it also laid the foundation of Mercedes' reputation for building good diesel engines for use in luxury cars. In 1953, Mercedes brought out the W120 range. This was the first three-box car in the company's history and it also featured a self-supporting chassis structure where the metal panels of the body were welded directly to the frame. It also had the iconic pontoon style fenders that that led to the nickname 'Ponton'. In 1956 came the 190 model (W121) that also led to the iconic 190SL sports car. 1959 saw a thorough revision to the Ponton range of cars that was one of the last big changes they received before the next generation came along in 1961. In the late fifties and early sixties 'Ponton' gave way to 'tailfin' with the W110 series. The cars scrapped the signature pontoon flare at the rear for a fin which was all the rage in America at the time. 1965 saw the launch of a six-cylinder engine named the 230 as against the four-cylinder 200 and 200D models. The 2.3-litre engine initially produced 105PS but was bumped up to 120PS in 1966. The W110 was also the first Mercedes to spawn an in-house designed station wagon. 1967 also saw the introduction of a long wheelbase model, a tradition that exists even today. The W114 and W115 series saw a major departure from the tailfin design ethos with a sleeker and more modern design. The car had been in design since 1961 and six saloons were initially available with a choice of four 4-cylinder engines and two 6-cylinder power plants. Two top-end coupe models were introduced at the end of 1968. In 1972, a powerful new 2.8-litre engine was added to the range leading the way for the 280 model that boasted 185PS in fuel injected form. 1974 saw the introduction of the worlds' first production 5-cylinder diesel engine in the 3-litre OM617 engine. 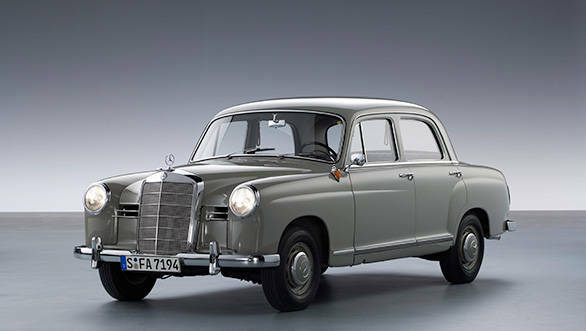 This generation was legendary for its reliability, with one Greek taxi driver having clocked a scarcely believable 46 lakh km on his car that now sits proudly in Mercedes' museum in Stuttgart. 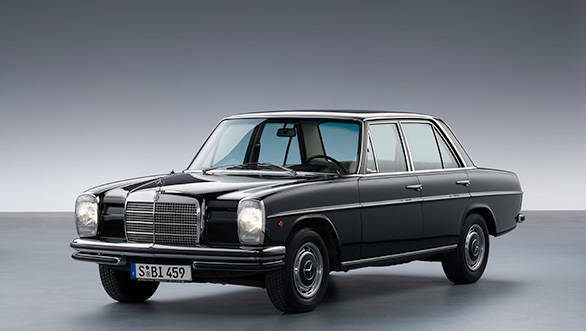 The W123 series E-Class is the possibly the first of the generation that starts to look more recognizable as a modern E. Design was inspired by the S-Class of the time, the W116 and the car was launched to a warm reception in 1975. The car featured never-seen-before safety and engineering features for the segment and also spawned the first diesel coupe from the company. 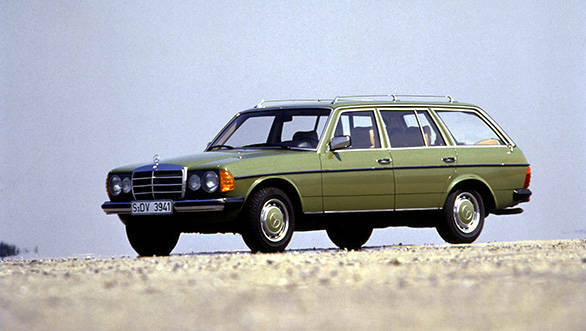 A station wagon variant was unveiled at Frankfurt in 1977 and it became the first serially produced station wagon from Mercedes. This was also the first generation to spawn special editions tuned by companies like Brabus, AMG and Lorinser, all of whom work with cars from the three-point star. 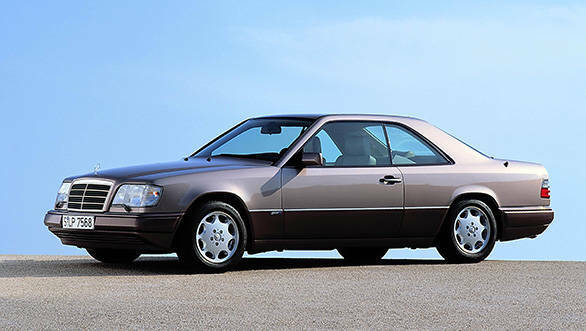 The W124 is the car most identifiable by Indians as it was the first Mercedes E-Class to come to India. It also happened to be the first car in the range to be bestowed with the actual 'E' in the name. Widely regarded as one of the most iconic cars in the range, the W124 featured many firsts such as four wheel drive, the introduction of catalytic converters and four valve per cylinder technology in the engines. The W124 reigned supreme from 1984 to 1996 before the W210 series came along. The W210 was highlighted by those famous bug eye headlamps. 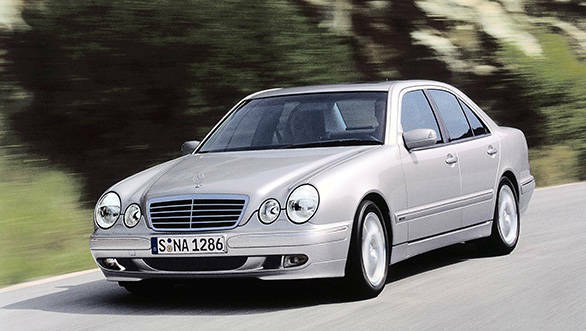 In typical fashion, the new W210 brought with it safety and tech features unheard of in 1995. It started the trend for aerodynamic designs on Mercedes road cars with a low drag coefficient of 0.27. 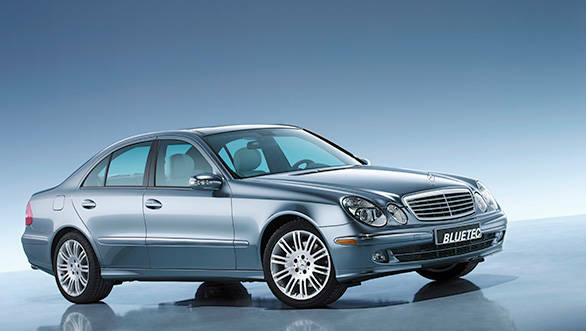 The W210 was immediately available with a choice of eight variants ranging from four, five, six and eight cylinder engines. The new OM 602 DE 29 LA in-line five cylinder diesel engine also got direct injection  an industry first. The 211 looked similar to the previous generation but with a more modern and polished design. New aluminium independent suspension and Mercedes' AIRMATIC air suspension contributed to making this one of the most comfortable E-Classes so far. It also happened to be the most powerful E with the supercharged E55 AMG that had 476PS on offer. 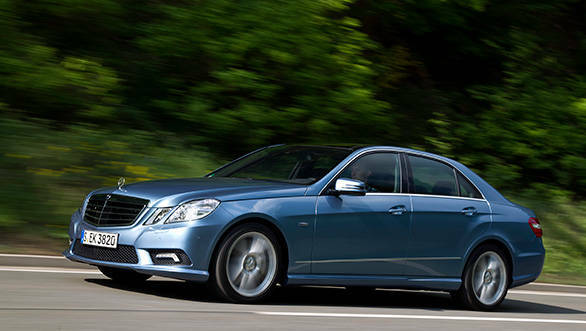 There was also a monstrous V8 diesel on offer in the E420 that produced a thunderous 314PS and 720Nm of torque. This was also the first E to receive the BLUETEC badging on the diesel variants post 2006. The W212 which replaced the W211 in 2009 came with a raft of new safety features like a blind spot warning system, night driving assist and more. The design got a lot more angular and aggressive and Mercedes gave the rear haunch a bulge that they named the Ponton flare in honour of the Ponton cars from the fifties and early sixties. The E-Coupe and cabriolet, despite looking similar to the saloon, were in fact based on the C-Class platform. The W213 is where we're finally at. It's not an all-new car but more of a thorough refresh. Design at the front and rear is fresh but the side profile remains familiar. 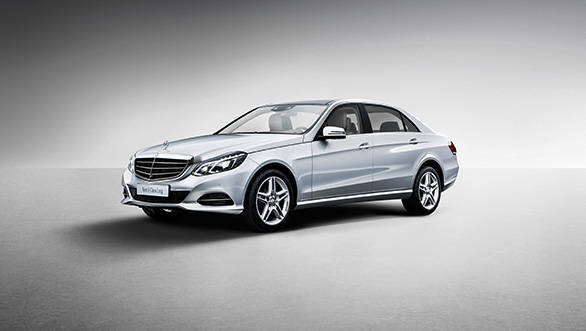 Like every new E-Class in history, it gets plenty of new safety features. Some of which were even featured on the latest S-Class that was revealed just last month. You can read all about the car in this month's issue of OVERDRIVE and on the web as we drive the car on Indian soil.